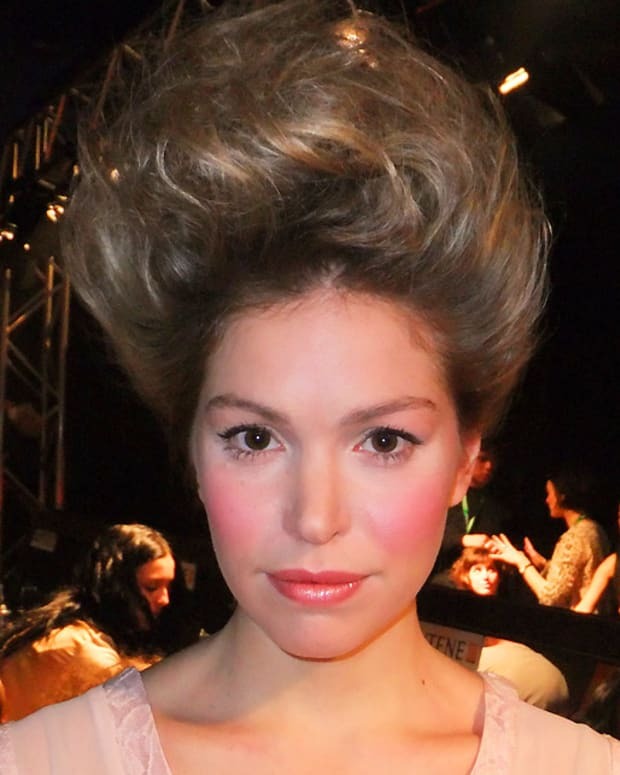 "It&apos;s a Parisian look, barely anything," said Covergirl pro Amelie Ducharme of the understated makeup for the Ca Va de Soi Fall/Winter 2012 runway show at Montreal Fashion Week, for which she is also chief makeup artist. Covergirl & Olay Tone Rehab 2-in-1 Foundation evened out model complexions. A fine line of LineExact Liquid Liner in black defined the upper lashline. "We applied it from the first inner-corner lash to the last outer lash just to make the eyelashes look thicker," said Ducharme. Lots of black LashBlast 24Hr Mascara, on top lashes only, added volume. Cheekers Blush powder in #180 Brick Rose gave just the apples of cheeks a healthy glow. NatureLuxe Gloss Balm SPF 15 in rosy-brown Clay gave lips a soft finish. A classic ballerina chignon complemented the simple makeup. 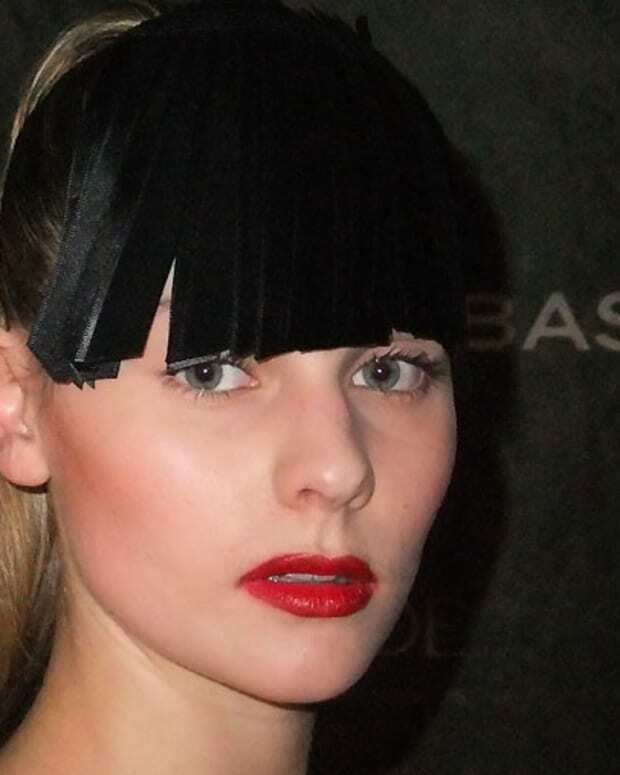 MFW chief hair stylist and Pantene/Clairol pro Denis Binet applied Pantene Pro-V Classic Care Total Control Gel -- "a lot, to control flyaways" -- at the roots and smoothed hair back into a snug ponytail. With still more gel in his hands -- "a lot," he said again -- he smoothed and twisted the ponytail down to the tip, wound it into a bun and pinned it in place. Photos by Louis Pierre Maurice.